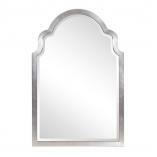 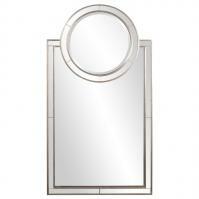 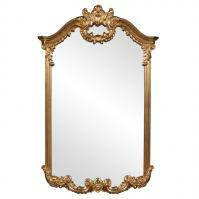 This rectangular mirror is surrounded by a frame that creates a modern arched shape. 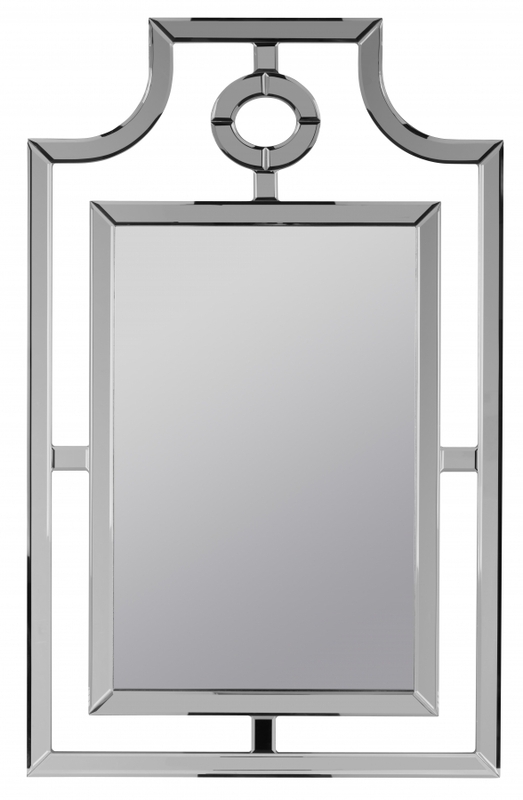 The glass material of the frame has a reflective surface that enhances the mirror in the center. 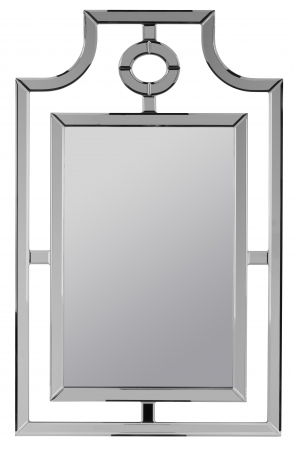 This piece will add a wonderful decorative touch as well as great functionality to the space where it is hung.